The ‘Democratic People’s Republic’ in ‘DPRK’ is often laughed at by reactionaries and ‘left’ liberals who compare it to the ‘Socialism’ in ‘National Socialism’. However, the DPRK has a complicated and advanced democratic structure, at all levels, and its citizens have access to a level of democracy not seen in the so called ‘free’ nations of the West. We will investigate, briefly, how their governmental and management system works. The sovereignty of the DPRK resides in the workers, peasants, working intellectuals and all other working people. The working people exercise power through their representative organs—the Supreme People’s Assembly and local people’s assemblies at all levels. The organs of State power at all levels, from the county People’s Assembly to the SPA, are elected on the principle of universal, equal and direct suffrage by secret ballot. The State shall guarantee conditions for the free activity of democratic political parties and social organisations. As can be seen, the DPRKorean citizens have universal suffrage by secret ballot, and all citizens over the age of 17 are allowed to run for public office, regardless of economic situation or political allegiance. We mentioned the right to education, because this too is important for democracy. True democracy can only come about among an informed people, because if the people are misled or ignorant they cannot make choices that best represent them and their desires. Therefore the DPRK’s constitutionally guaranteed right to education (including at university level) is an important democratic right, one which is lacking in most capitalist ‘democracies’ which require heaps of money to afford a university education, or which put so little funding into their public schools system that it cannot be expected to function properly, thus leaving poorer children unable to access education to the same standard as the wealthier, privately educated children. 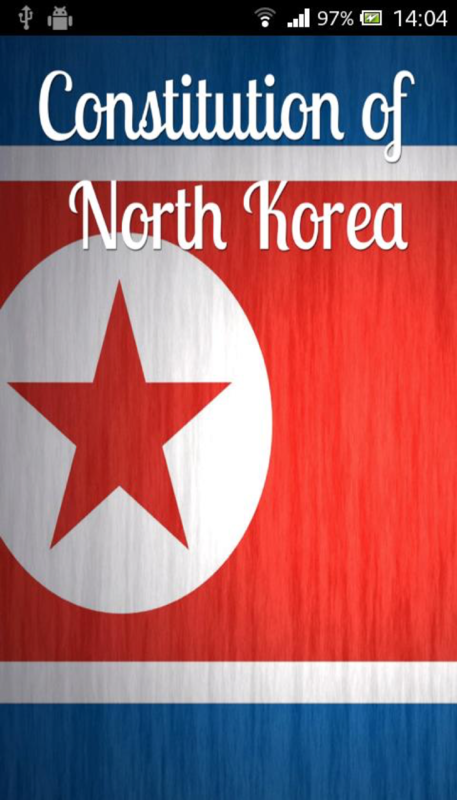 There are many organs of state power in the DPRK, all of which are elected democratically. The following section will explain what each of these are and how they interact. The Supreme People’s Assembly (SPA) is the highest organ of state power in the DPRK, above roles like Chairman and Supreme Leader. It is composed of elected workers and peasants, primarily representing the Workers’ Party of Korea, and it has the power to make new laws and remove old ones, as well as to edit the nation’s constitution. Meetings of the SPA happen once or twice a year (national elections happen every five years), but extraordinary meetings can be called by the Presidium or by a petition by at least one third of the members. The SPA Presidium is the equivalent of the Central Council in the USSR, and it is an elected council of full-time politicians who handle the day-to-day operations of the state. While the SPA is not in session, it is the highest organ of state power. The SPA elects a Chair, a vice-Chair, as well as secretaries and general members. This Presidium does NOT have the authority to amend the constitution, or to introduce new major laws – that can only happen via democratic vote in the SPA, apart from in the instance of invasion, and even then the priority is to try and convene an emergency meeting of the SPA. The Presidium’s primary role is to carry out the decisions reached by the SPA, to supervise the various committees set up by the SPA, and to work with the Local People’s Assemblies and with the Courts system. We will briefly mention the National Defence Commission (NDC), as, owing to the nature of the DPRK’s Songun (military first) policy, it is an important organ in the nation. The NDC is also elected by the SPA, and operates in a similar manner to the Presidium. The NDC’s main role is to oversee the continued expansion of the DPRK’s military and nuclear programme. It has the power to declare a state of war and to mobilise units in such an event. The Cabinet’s primary role is that of overseeing of the DPRK’s planned economy, in order to maintain balanced growth, and to carry out diplomatic work with other states. It too is appointed by the SPA, and it is subordinate to the SPA, and to the Presidium when the SPA is not convened. All national organs of state power in the DPRK are elected, either by the people or by their representatives in the SPA. The Cabinet can adopt measures, but not new laws or constitutional amendments. The Premier of the Cabinet is the official representative of the DPRK, the role of which is currently occupied by Comrade Pak Pong-ju. The Local People’s Assembly (LPA) is the DPRK’s equivalent of the British model of County Councils, only the LPA has much more power and ability to aid its area than its British equivalents. It is also elected in the same way as the Supreme People’s Assembly for five years. It can adopt measures to carry out laws, organise plans to carry out the decisions of the Cabinet as to the economy (the DPRK’s nature as a planned economy means that organs such as the LPA have much more power over the local economy than in market economies), and elect or recall judges and other members of the Courts system. The Local People’s Committee is the equivalent of the Presidium for the LPA, and it is elected by the LPA. The Taean Work System is the equivalent of how the USSR’s Worker Soviets would work. Places of work are managed by an elected Committee, who decide how to implement the Cabinet’s and the SPA’s decrees as to the economic targets. This committee must be composed of at least 60% workers, to avoid the council being dominated by old-bourgeois elements. The Party Committee itself elects an executive committee, which takes the role of the day-to-day running of the workplace, the equivalent of the Presidium and the Local People’s Committee. A short mention of the DPRK’s union system is important for truly understanding the democratic nature of the country, where people’s power is truly realised. Unlike in capitalist economies, where unions are seen as impediments to the ever-present profit motive, unions are heavily encouraged and subsidised by the DPRKorean government. The unions have the power to go on strike if they see fit, and look out for their individual group’s needs, within the collectivist system which sees to it that all work together. There is even an active Children’s Union, much to the horror of the imperialist states which barely allow adults to have unions. This union system provides reinforcement of the dictatorship of the proletariat, allowing the people multiple democratic methods to see that their wishes and needs are fulfilled. What we can see from this is that the DPRK’s democratic system is realised on every level, and that even in the midst of brutal imperialist sanctions and aggression against the state, they maintain their people’s power to an incredibly impressive level. Quite apart from the standard, racist image in the West of a ‘weird monarchy’ or ‘dynastic dictatorship’, the Kims are very much a part of this system. Comrade Kim Jong Un (who is leader of the Workers’ Party of Korea) is elected, and, if it were wished by the people, could be removed. We are told that it’s ‘impossible’ for the Korean people to continue to want the same person as their leader (so accustomed are we in the West to poor-quality leaders elected because ‘well, at least they’re not as bad as x’). The Kim family are held in huge respect by the DPRKorean people, and they so far have chosen Kim Jong Il to replace Kim Il Sung and Kim Jong Un to replace him. We are fed this view of Comrade Kim Jong Un as a ‘mad monster’ who gleefully oppresses the ‘poor, brainwashed Korean people’ (the irony of Western liberals calling anyone else brainwashed!) but it is simply not true. It is pure racism to believe that the Korean people would be happy with a government which oppresses them in increasingly ludicrous ways. If such a regime were to exist as the Western conception of the DPRK surely it would be overthrown in days? The reality is that it there is no such regime. 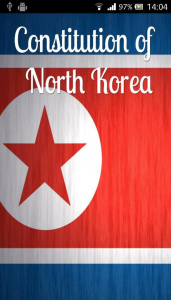 What the DPRK is is in the name – a democratic people’s republic.